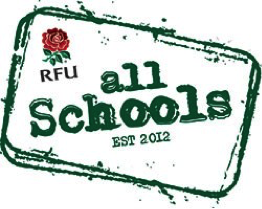 Year one of the “All Schools” rugby programme is now complete and the academy has taken great benefit from this initiative. Throughout the last academic year, rugby was delivered across the school to both boys and girls with an initial target of simply inspiring students to want to play rugby. Our numbers to Rugby Club have increased across the year and this was highlighted with the number of students that got to play their first ever competitive fixture for the school. 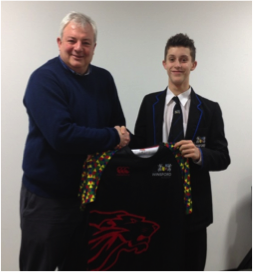 In addition to this, the academy received many incentives, including two new kits, one of which was actually designed by our students and a trip to Twickenham where we got to present our new academy kit alongside the England Rugby Union team before their Six Nation’s game against Italy. As we enter year two of the programme, the focus shifts to teaching staff taking on a greater role in delivering rugby alongside the RFU coaches. The aim this year is to inspire students to join local teams. Ian Grassby is our designated coach this year and he has had a really positive influence on student’s uptake to rugby. This is evident especially with the year 9 girls who have really excelled and have been pencilled in for county trials. We have received an additional rugby kit (three in total!) and this year will see many of our students become trained in delivering junior rugby and gaining accreditation for their efforts. It’s a great scheme to be involved in and we extend our thanks to the RFU for their support.